The top-ranked Yachtsmen break open a close game in the second half, rolling to a 15-6 victory. 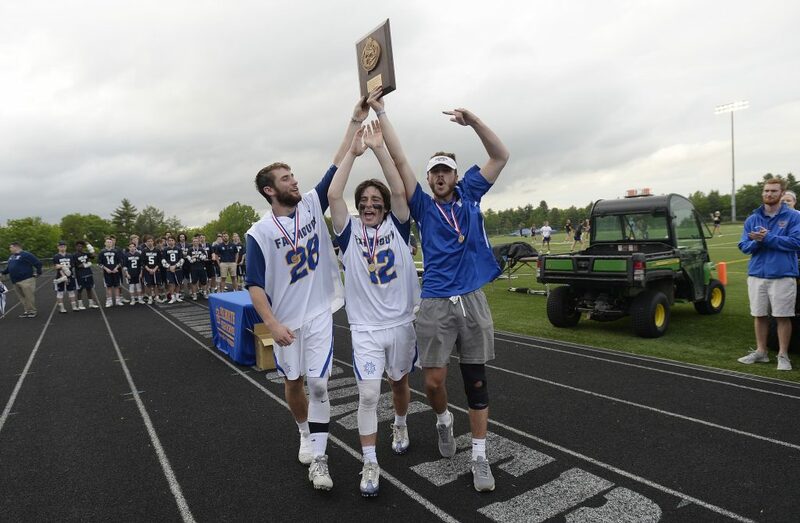 FALMOUTH — Even though this was a meeting of the top two seeds, the Class A North boys’ lacrosse title game figured to be a mismatch. And sure enough, favored Falmouth dominated possession, cruising to a 5-0 lead. 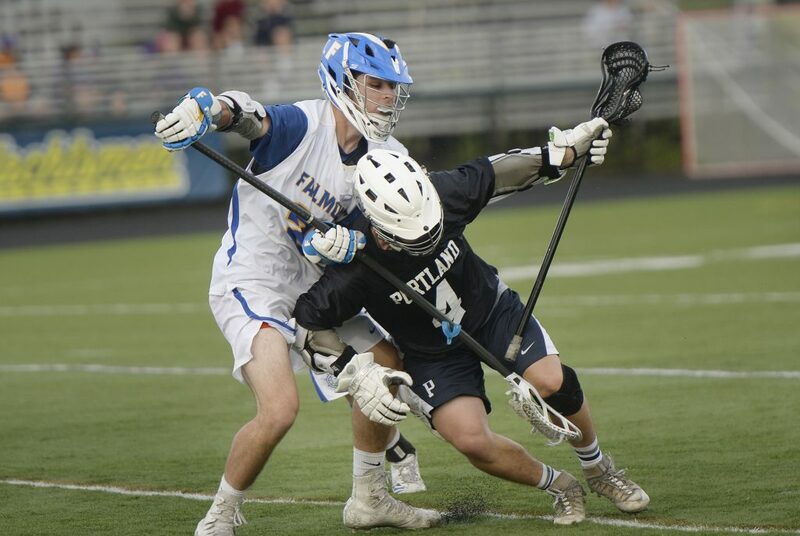 Then underdog Portland made it a battle, scoring the final four goals of the first half. But the Yachtsmen took over after intermission, beating the Bulldogs 15-6 Wednesday afternoon. 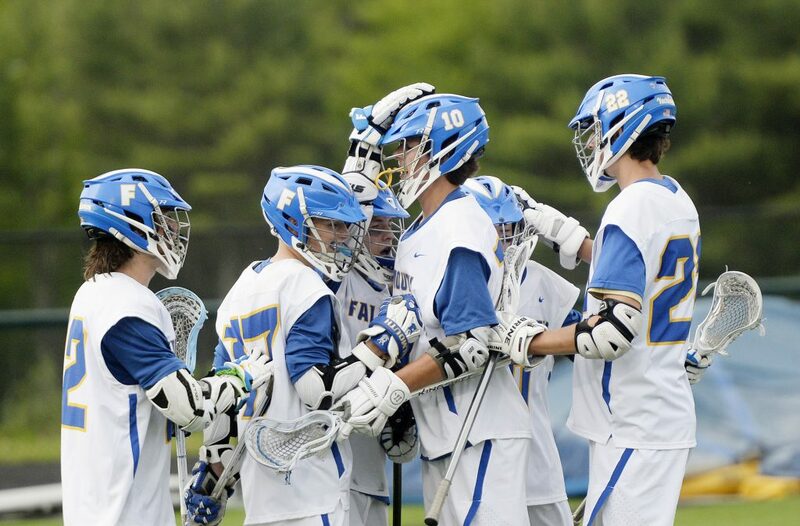 Top-seeded Falmouth (13-1) advanced to the state championship Saturday at Fitzpatrick Stadium. The Yachtsmen, a three-time Class B state champion, moved up to Class A this year. 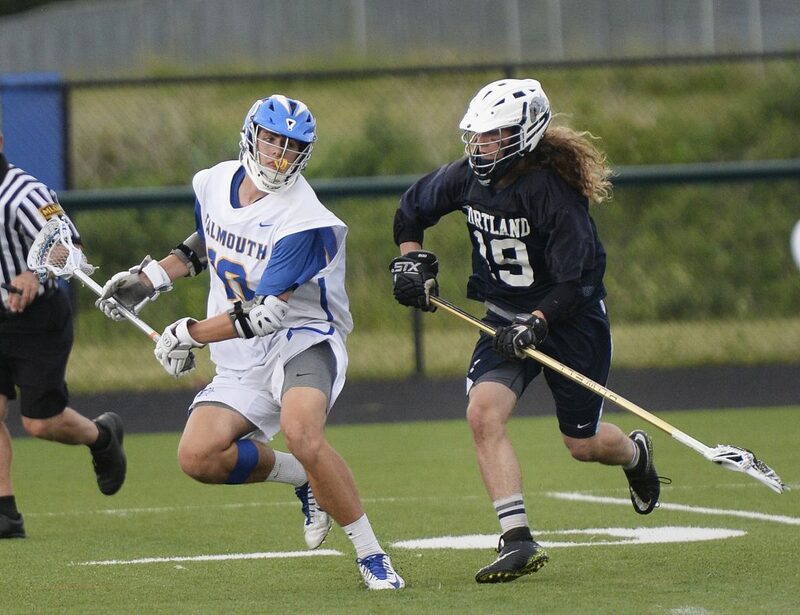 Aiden Gallup, Lou Mainella and Nick Farnham all scored four goals for the Yachtsmen. Portland’s Kevin Moore scored twice, and Sam Shaw added a goal and three assists. The No. 2 Bulldogs finished at 12-2 under Coach Mike DiFusco, a year after a 2-10 season. “Mike’s done a great job with that team,” Falmouth Coach Dave Barton said. “They have a lot of talented players and one of the best goalies (Aaron Hoekstra) in the state. It still looked like a rout early. Even though Falmouth did not score right away, they held onto the ball. But Falmouth led only 2-0 after the first quarter, on goals by Tom Fitzgerald and Gallup. The Yachtsmen stayed patient with the ball and eventually made it 5-0, but Falmouth penalties helped Portland get back into it. “We’ve been preaching to get off to a fast start. We went to the penalty box and they made us pay,” Barton said. The Bulldogs scored four goals in the final three minutes of the half. Moore tallied. Then Reilly O’Brien scored on a pass from Miki Silva. Sam Gerber scored and, with 1.8 seconds left, Tristan Arcand’s goal closed it to 5-4. “Once we got playing our game, we can be tough. You could see it in spurts,” Shaw said. The Yachtsmen looked stunned, but not for long. “We went into the locker room and the message was, ‘when we leave this room, let’s not hang our heads, but re-set,'” Barton said. 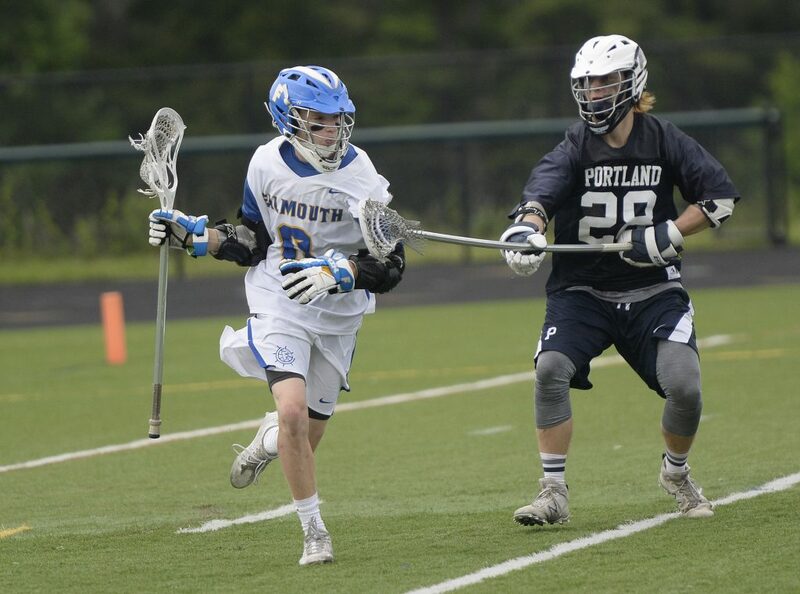 Early in the second half, Portland nearly tied it with the ball bouncing in front of the Falmouth goal. But Gallup was there to scoop it. “I just snagged it and went all the way,” he said. Gallup, who ran the sprints on the indoor track team, raced the length of the field and scored, 1:09 into the second half, for a 6-4 lead. Falmouth built the lead to 10-4 and was on its way. “We played to our abilities and kids did their jobs,” said Mainella, a Falmouth co-captain. Portland could not keep up.